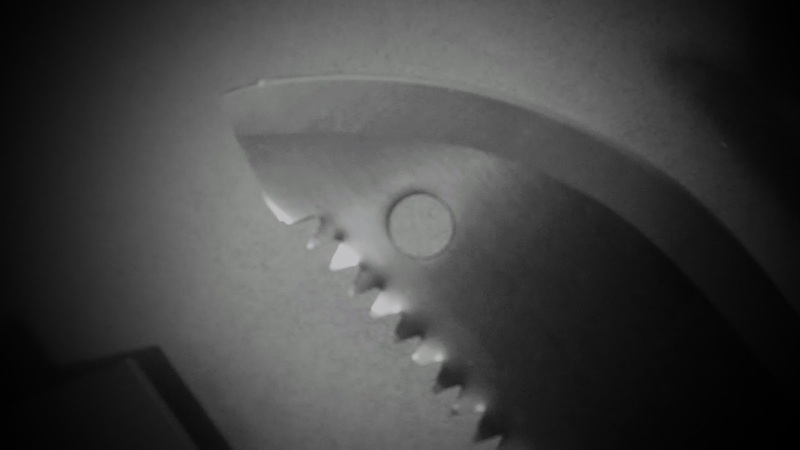 The Saw of Kimena was little more than a symbol. Sure, Eido Kimena occasionally used it as a weapon, or as a tool for threats, but it did not possess any special properties. Some believe that Kimena kept it with her after noticing the other eidos carrying with them signature objects. As stated, she was the primary driving force in favor of seizing control of the sunken island of Atlantis, and ended up losing her saw there. One member of the group of mercenaries who went in to retrieve it was a man named Harvin Adricks, who was likely trying to prove himself worthy of being selected as the new eido. He’s not unlike Kimena, with a thirst for conquest, and a temper to match it. He was, shall we say, rather zealous while within the confines of the undersea civilization, and started breaking protocol to gain intelligence. Though against the mission, he was an unofficial leader in the merc team, trusted and loved by many of his teammates. He was able to convince them to try to gather information on how Atlantis operates, in case Fostea runs into issues with them later. They learned very little about the island nation, however, for in the attempt, they discovered a secret the Atlantians had only recently discovered themselves. Lactean representatives had been sent to Earth in a series of missions, ultimately finding out that the ancient Amadesins were still alive. Amadesis is an evil religion predicated upon control, servitude, and pure inequality. Though both Amadesis and Lightseed are founded on the concept of a cleansing light, the Amadesins use this light as a form of manipulation, determining who has the right to it, and who deserves to remain in darkness. If anything is the antithesis of Lightseed, Amadesis is most certainly it, and we would have been fiercely against them if we had existed during the same time periods. Well, as it turns out, that’s exactly what we are, for despite reports they the religion died out centuries ago, millions of them have been reported to be living in higher dimensions that can be accessed by Earth. Adricks was hastily named as new eido so that he could begin using his skills for what may be the greatest fight of any Lightseer’s life. All signs point to the logical speculation that Fostea is headed for intergalactic war.